Muskegon County residents can drop off unused or expired medication at the City of Muskegon’s Central Fire Station at 770 Terrace Street from 10 a.m. until 2 p.m. on Saturday, April 27. 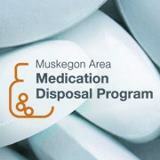 The Muskegon Area Medication Disposal Program (MAMDP) will sponsor the drop-off. The MAMDP has done nearly a dozen events similar to this one since their creation in 2010. Those who are not able to drop off their medications on Saturday are able to drop off controlled substances in special drop boxes located many local police departments around the county, an aspect that has grown quickly over the past few years. Several local pharmacies will also accept non-controlled substances, including over-the-counter medication. Medical sharps, including needles and syringes, will be accepted at Saturday’s drop-off if they are brought in safe, sealed containers. Fitzpatrick urged people to not flush their medications, and to lock up what they have to discourage youth abuse. The MAMDP is supported by a coalition that includes local law enforcement, Mercy Health Partners, the Muskegon Community Health Project, the county sheriff’s office and others. The program has collected over 5 tons of medication since its formation under four years ago. Fitzpatrick noted Tuesday that after collection, the MAMDP sorts, classified and tallies their medication, and have since taken that information back to local doctors to change their prescribing practices. After the classification, the medication is sent to an incinerator in Kent County to be destroyed. The MAMDP is looking for volunteers for Saturday’s event as well. Volunteers can contact Laura Fitzpatrick at 231-672-3201, and should show up at 9:30 a.m. on Saturday for check-in.